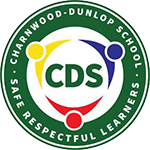 I am delighted and proud to be the principal of Charnwood-Dunlop School. Our professional staff value the strong and diverse community of our school where we work together with our energetic Parents and Citizens (P&C) and School Board to provide a positive school climate that enables student learning and wellbeing. The staff at Charnwood-Dunlop School work collaboratively to provide a professional learning community where we have high expectations for all students and provide opportunities to extend and support individual learning. We implement a well-researched ‘Positive Behaviour for Learning’ (PBL) approach to create a safe, respectful learning environment for all students. Our school expectation is that all students are positively engaged in their learning, they are safe and they are respectful. PBL involves the whole community working together to cater for positive learning and wellbeing. The Belconnen Primary Introductory English Centre (BPIEC) is an important part of our school. Students attend the BPIEC to learn English for two terms before transitioning to their local primary schools. The inclusion of the BPIEC provides a unique and valuable opportunity for all our students to develop intercultural understandings, create connections and develop an appreciation of diversity in our global society. If you would like further information or to visit Charnwood-Dunlop School please contact us on 6205 7322 and we will happily show you around and share more about our wonderful school.